The above quote by J. K. Rowling applies very well to her own life which has not been less than a rollercoaster. Her life is a classic rags-to-riches story. Rowling’s parents never received a college education, she lived for many years in shelter homes as a single mother, and faced around a dozen rejections from publishers to become, one of the most successful, rich and widely read authors in the history of the world. After the huge success of “Harry Potter,” J. K. Rowling has turned her popular boy wizard into an entertainment franchise including books, movies, a play, a theme park, and much more. Here’s how this wonderful woman carved her path to success. Joanna K. Rowling was born and brought up in the South-west of England. Her family which had just four members including her parents, a sister and she herself could hardly manage to arrange two meals for the day. To add to their misery, Rowling’s mother was diagnosed with multiple sclerosis and she fought it for around ten years. 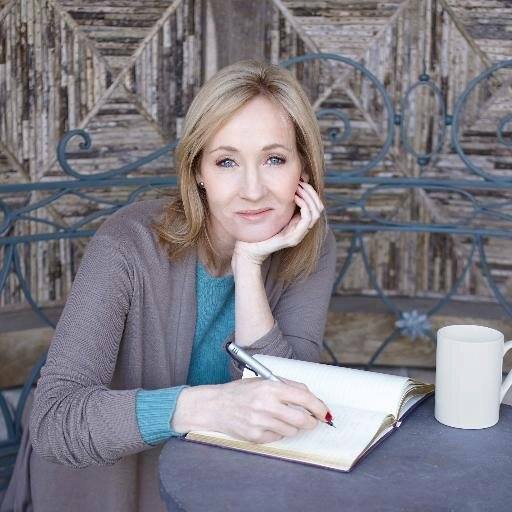 J. K. Rowling knew she wanted to be a writer since her early childhood. But she didn’t know, how difficult her road to success would be and how much it would cost her. Rowling’s mother died when she was a young woman of 25. Just six months ago Rowling had begun to jot down the story of her imaginary boy Harry Potter’s adventures on the napkins she found on table-tops. J.K. Rowling often tells that wrote down about the death of Harry’s parents- James and Lily Potter- after suffering the loss of her own mother which shows how intricately she has voiced the inner pain of a child yearning for his parents. Her mother’s death proved to be a stepping stone in J.K. Rowling’s life. She looked for new beginnings and after her mom passed away, she packed up her bags and started life afresh in Portugal. She taught English in Portugal for a few years. Here she met Jorge Arantes and had a torrid love story with him. Soon she got pregnant and moved into a small apartment with Arantes’ mom. She suffered a miscarriage, but the couple got married in October 1992. Next year in the month of July, she gave birth to a baby girl whom she named Jessica. But her marriage with Jorge was on rocks, after a year they filed for a mutual divorce. J. K. Rowling moved back to the UK to settle in Edinburgh, Scotland with her infant daughter Jessica. In her bag, she had three completed chapters of Harry Potter. But things were not going to be easy for her as most of the top publishers outrightly rejected her manuscript. Depressed and feeling lost while sitting in a tiny apartment with her daughter lying in an old pram next to her, J. K. Rowling admits that she considered committing suicide many times. “An exceptionally short-lived marriage had imploded, and I was jobless, a lone parent, and as poor as it is possible to be in modern Britain, without being homeless … By every usual standard, I was the biggest failure I knew,” stated J. K. Rowling, in a speech at Harvard University in 2008. As it is said, ‘the darkest hour is just before the sunrise’ so the things were soon to change in J. K. Rowling’s life forever! Bloomsbury, a famous publishing house in London, decided to give Rowling’s manuscript for Harry Potter, a green signal in the year 1997. According to Business Insider, just in three days, since Harry Potter was first published in the UK, Scholastic bid a whopping $100,000 for publishing rights in the USA! Obviously, J.K. Rowling had no turning back after this turning point in her life. By the time Rowling completed the Harry Potter series, she had sold over 450 million copies, won dozens of literary awards, had her books being turned into movies which were distributed by the Warner Brothers. In the year 2011 J. K. Rowling was labeled one of the richest and most powerful women by Forbes. Although currently, J.K. Rowling is on the top of the world, she is not ashamed of admitting her roots and doesn’t forget what it was like when she started out on her extraordinary journey. “I have not forgotten what it feels like to worry whether you’ll have enough money to pay the bills,” she wrote on her website. As she feels the pain of being penniless, J. K. Rowling has reportedly donated a large sum of her money to the charity. So, this is the fairy-tale-like story of a wonderful woman, who has created not just a multi-billion dollar empire but the story of a boy with whom we have lived in a magical world in our childhood. It’s interesting to note that Rowling wrote the story of Harry Potter on one delayed train-ride between Manchester to King’s Cross Station, L! Meet New Zealand’s Prime Minister Jacinda Ardern A Young, Visionary, and Brazenly Liberal Lady! I’ve always admired JK Rowling’s story. My favourite author that gave me the most amazing stories to grow up with. I love this – She really does rock!! JK Rowling is one of my favorite authors. I spent most of my childhood reading Harry Potter and imagining that I was attending Hogwarts. Ms. Rowling is definitely proof that single mothers are capable of anything. Very inspiring post thank you for sharing. While I’ve never read her books she has an amazing story! Very inspiring! I love hearing about K Rowling! She is such an inspiration. Thank you for sharing her journey! Thank you for sharing her amazing story! I had heard the “rags to riches” but not the details. One of fave author. Her journey is amazing! I loved. This blog post, so informative for those who don’t know her journey. I Love her and the big inspiration that she is!!! Great read!! This is great! She is so inspirational! One can do anything with hard work and determination! I would say that a great part of her success has to do with marketing herself as the brand behind the Harry Potter series. Thank you for highlighting this talented human being. J.K Rowling always be a inspirer. I can never think that how can someone write like this story with so much well connected with 8 books. I am a very big fan of Harry Potter. The story is so f***ing good that I can’t explain with my words. By the way, very nice article, I can’t control my self as I hear the word Harry Potter. This is beautifully written! So happy you’re sharing your journey! I love JK Rowling. I grew up reading Harry Potter and she is just so amazing! Her story of getting Harry Potter published alone is the story of persistence and patience lol. I just love her and it really gives hope to people struggling because that quote is soo true! You just have to have enough nerve. Love it! Clark on Why You Must Say I Love You To Your Mirror Everyday!